It’s October 2017 and we’re working on an amazing project with blind sitar master Baluji Shrivastav, funded by Unlimited – the arts body who support projects by disabled artists. 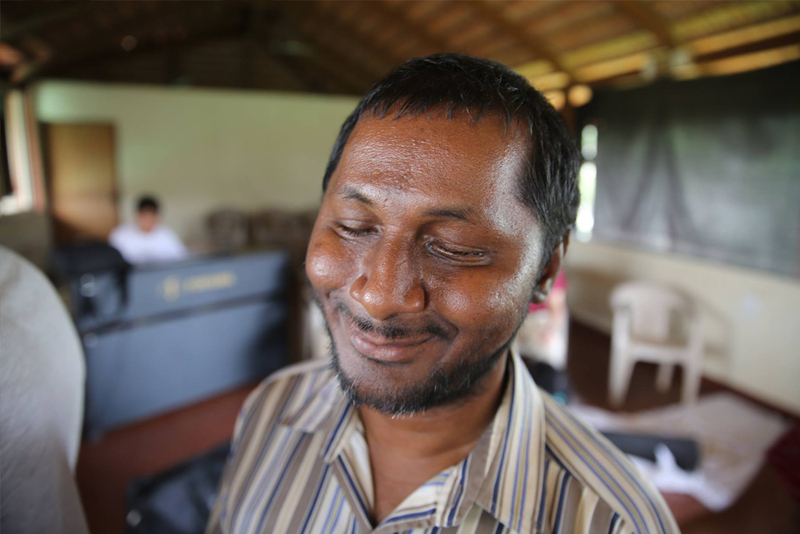 Baluji also heads the UK’s only blind ensemble of musicians, the Inner Vision Orchestra, some members of which who’ve also taken part in our Orchestra of Samples project, including Baluji himself. 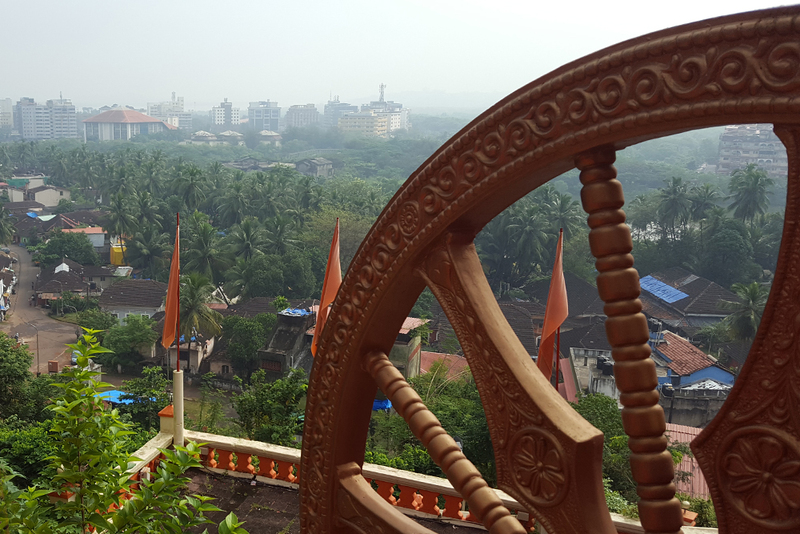 We’ve worked with Baluji a number of times and he’s always been fascinated by what we do, and earlier this year he asked if we could be involved in his new project Antardrishti, a project on the subject of ‘inner vision’. 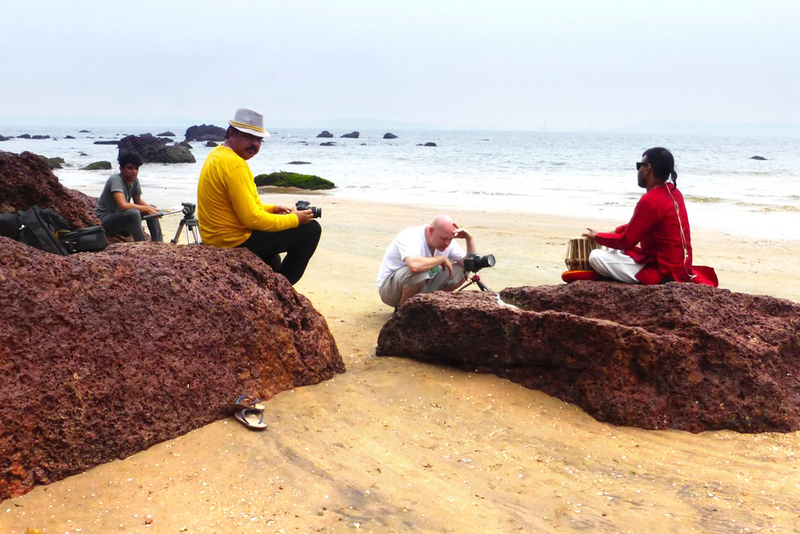 He wanted us to record and film musicians in India and audiovisually sample them, bringing both a visual and mixed-media element to the project. 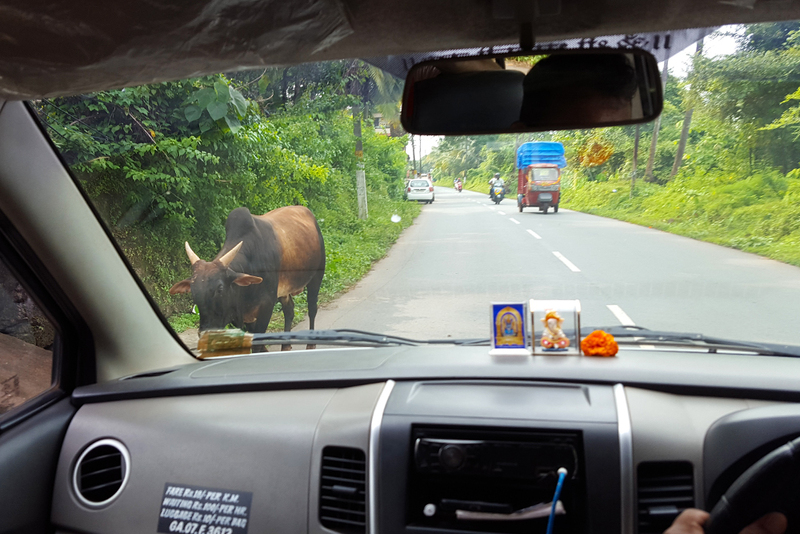 So taking the opportunity of being in India, we asked all the musicians involved, both from the UK and those from all over India, if they were ok to also be recorded for Orchestra of Samples at the same time – which happily they all were. 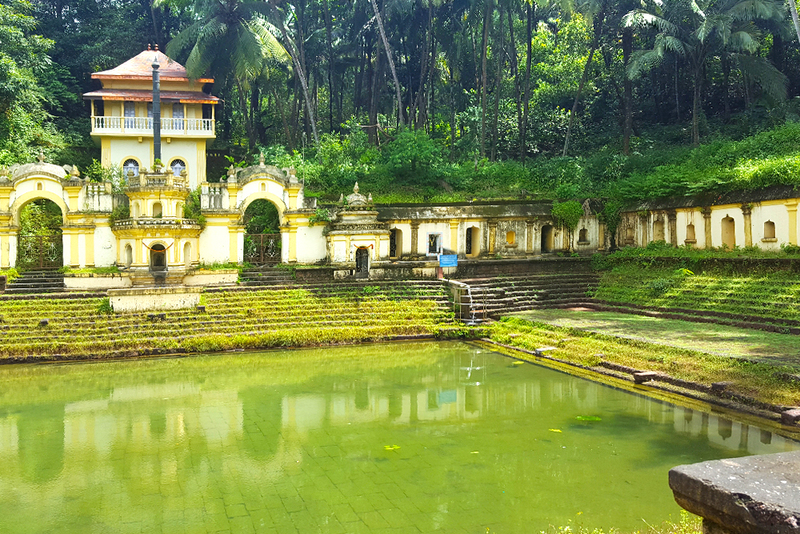 We were all based at The International Centre in Goa, where many of the musicians met for the first time and where they’d all rehearse together for the following two weeks. Arriving in Goa on a hot and sweaty afternoon, we joined the musicians for the same two week period, setting about organising multiple recording sessions with them all, as well as recording/filming percussive sights and sounds of India – from market places and workers making bricks by the roadside to an elderly woman traditionally grain winnowing (the ancient practice of separating the wheat from the chaff). 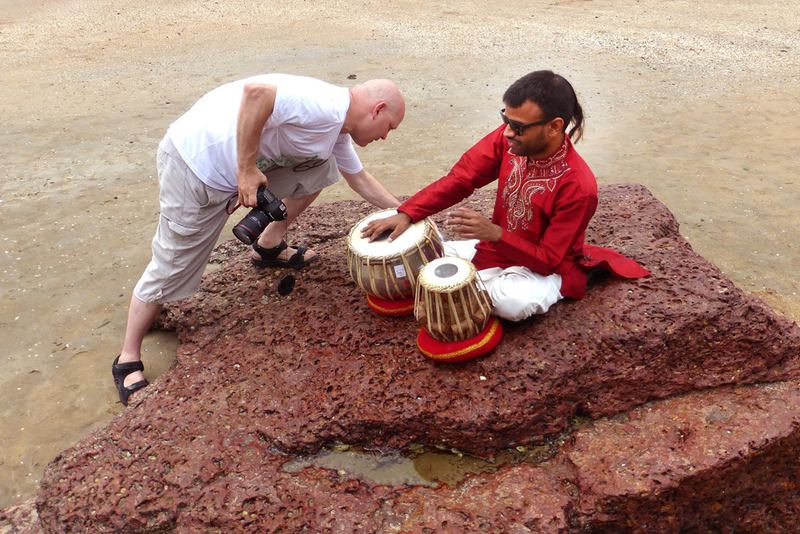 Raju Maurya was the percussionist of the group, a tabla player with an incredible sense of timing and rhythm. Playing since he was a child, Raju is mostly self-taught but originally studied at a Gurukul school, the educational organisation headquartered in Rajkot in India but now with centres all over the world (including in the UK and USA). He’s performed live on India’s national radio broadcasters All India Radio and Door Darshan, and countless classical concerts and stage shows across the country with several renowned Indian artists. In 2014 he also took part in the television show India’s Got Talent and in 2012 India’s Zee TV singing competition show Sa Re Ga Ma. His skills on tabla were a wonder to watch and at times his hands moved so fast, they looked speeded up! 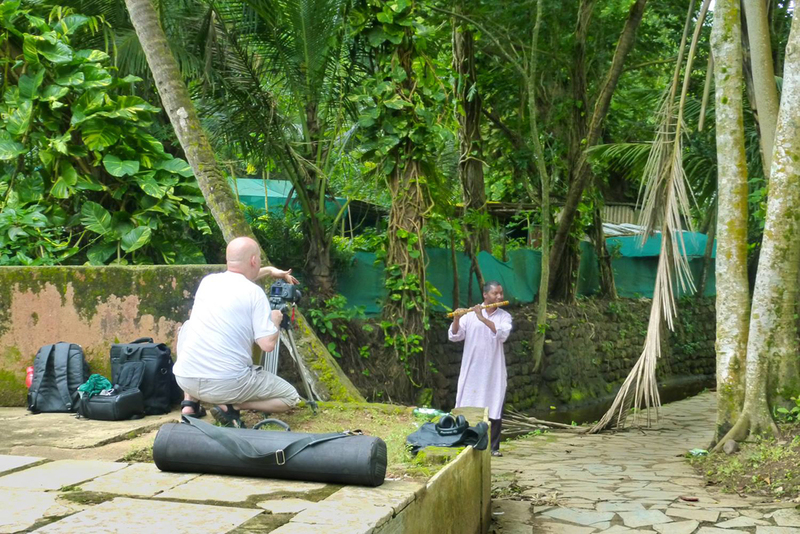 We also spent a lot of time with Perumal Varudaraj, an incredible flute player from the South Indian state of Tamilnadu. He studied at the Tamil Nadu Government Music College but actually only studied vocals there and is completely self-taught on the flute. 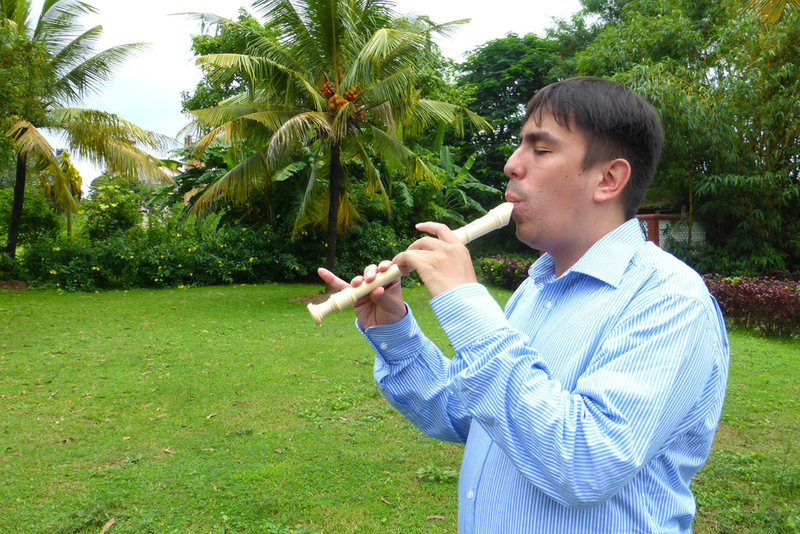 His love of and talent for carnatic classical music, hindustani and western classical has taken him to many festivals in both Tamilnadu and Bangalore, performing on his many bansuri flutes. In 2013 Perumal appeared on Champions, a television talent show on India’s Sun TV, where he came runner up – watch the clip here. 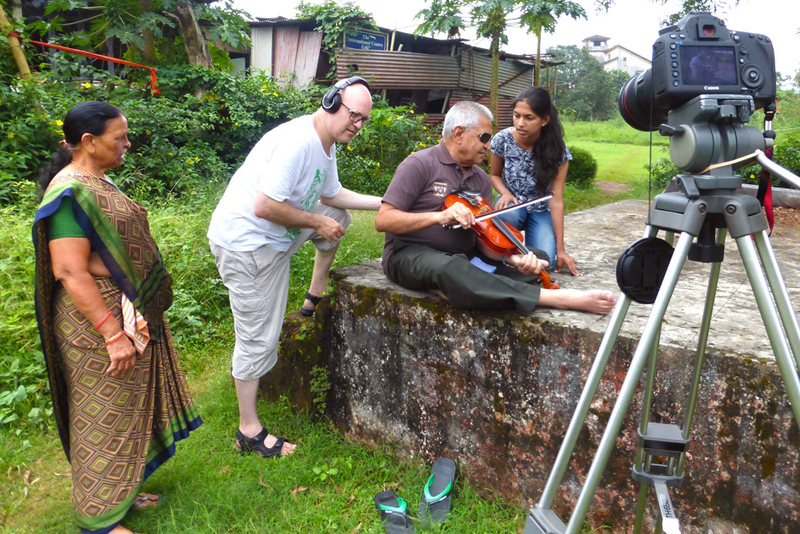 We spent a wonderful afternoon recording a session with him in a park next to the Goa’s Kala Academy music school which was cut short when the park police arrived and asked us to leave for not having filming permission! The violinist of the group was Chiman Patel, a music teacher from Gujarat who teaches at the one of the many Saraswati Sangeet Kendra schools that are spread across India, and – similar to the Gurukul school where Raju studied – also have schools abroad in the UK, Canada, USA and Middle East. 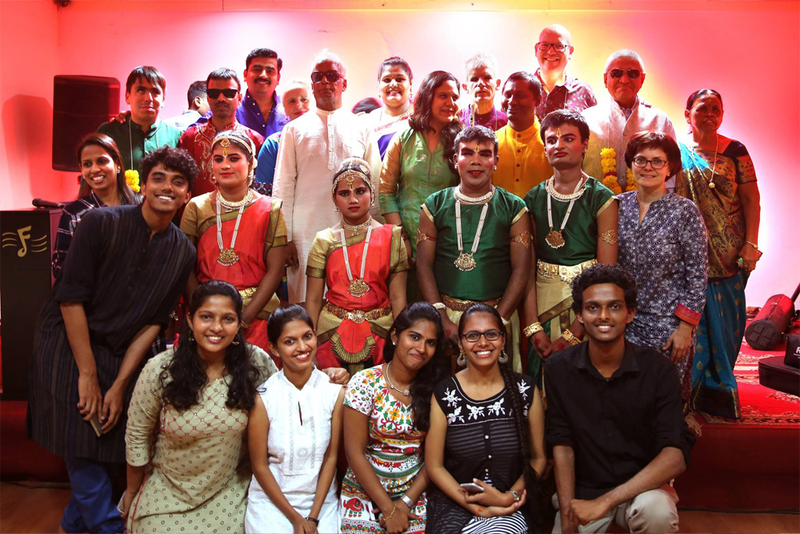 In the second week, on a very hot morning just after sunrise, we recorded four visually impaired dancers from Bangalore’s Shree Ramana Maharishi Academy for the Blind. Set up in 1969, the academy strives to breakdown social barriers and provide opportunities for the disabled, boosting their confidence and helping them integrate into mainstream society. The dancers we recorded are used to performing to music but they especially danced in silence for us, so we could record their ankle bells and stamping sounds of their bare feet. The first UK artist on the project we recorded was Kevin Satizabal, who was actually originally born in Popayan in Colombia in 1990. He began formal music education at the Royal College of Music Junior Department before much later graduating from Birmingham Conservatoire in 2012. During his time at the Royal College, Kevin won a number of competitions including at the West London Pianoforte Festival, the Ealing Festival and was a finalist at the Royal College Teresa Carreno competition. He also performed at London’s Wigmore Hall as one of the winners of the Jaques Samuel’s Junior Intercollegiate Piano Competition in 2007. As well as performing as a soloist and accompanist with singers and other instrumentalists, Kevin is also a member of Baluji’s Inner Vision Orchestra. 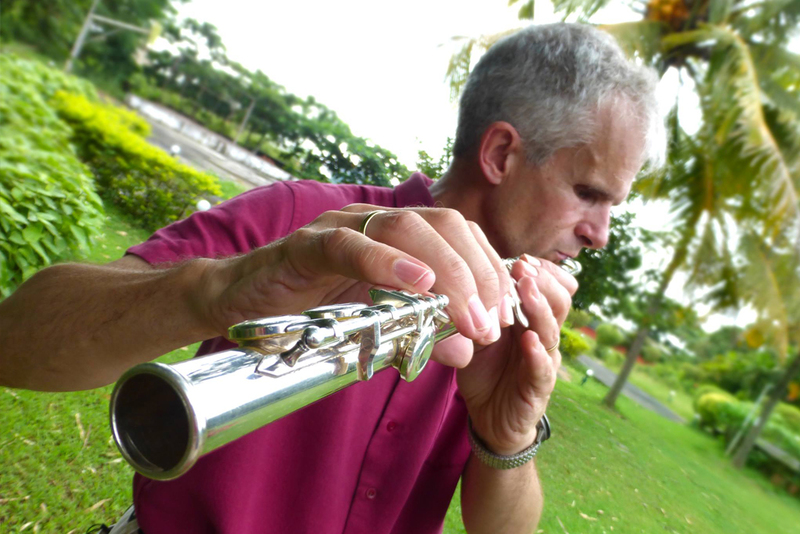 The second of the two UK artists we recorded was flute player and ex-BBC sound engineer Peter Bosher, who’s been playing with the Inner Vision Orchestra for the past five years. His musical influences range from Debussy and Ravel through to Tom Jobim and Pat Metheny. 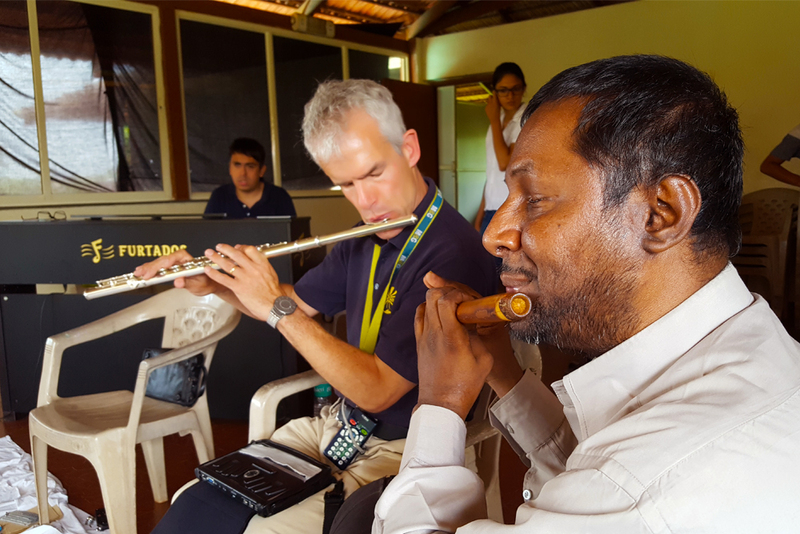 Finding a new bansuri flute guru in the shape of Perumal (above), Peter now aspires to learn the basics of the Indian bamboo flute! 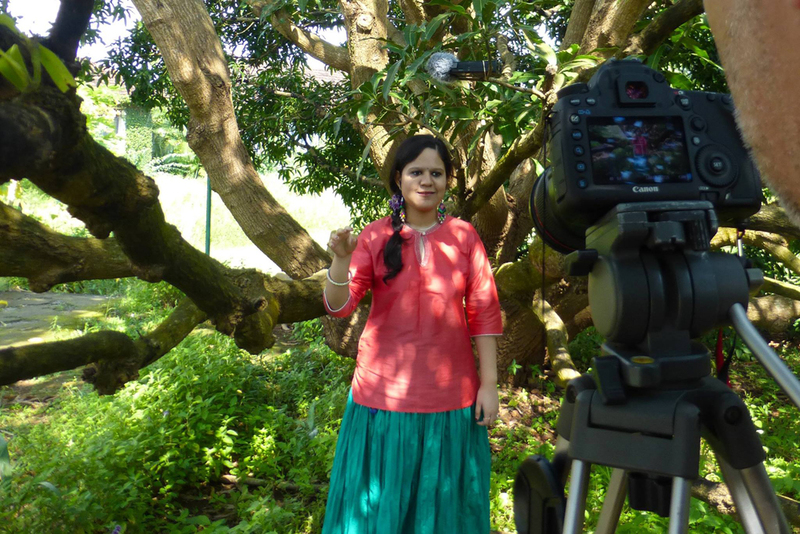 Last but not least of the residency artists to be recorded was singer Sayani Palit. Already a rising star in India at the age of 25, the Calcutta University graduate made her Bollywood debut just in 2015 singing on a track for the romantic drama Katti Batti. Her breakthrough though was the year before when she won India’s leading FM radio network Big FM’s talent show Big Golden Voice 2014, for us she sang improvised vocal sounds. 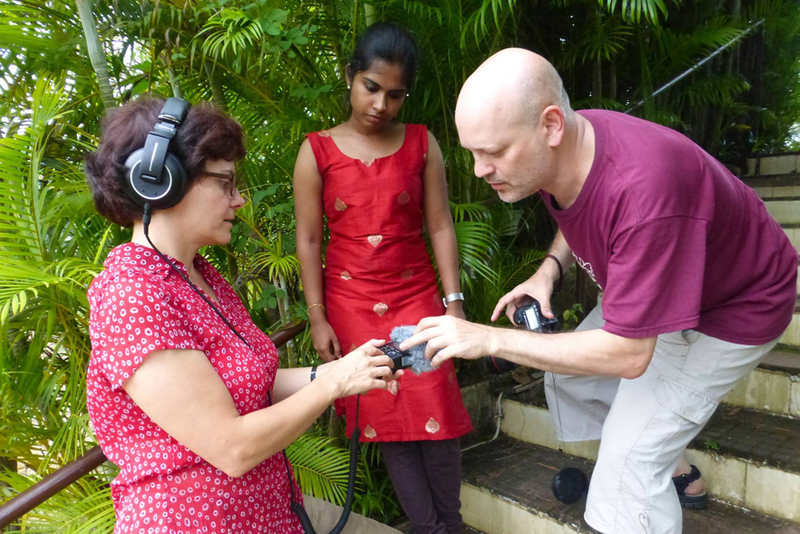 And finally were two students from the University of Goa, the talented Akshada Godinho and Deetshidha Murali who were part of the support workers team, helping assist all the musicians. 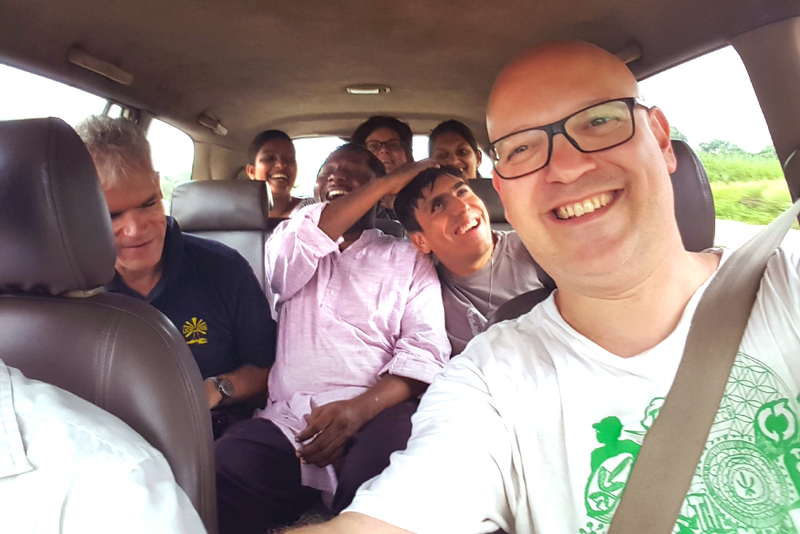 By chance they both sang in a choir and were up for improvising some Indian style vocals, so we took the opportunity to record them both! With massive thanks to Linda Shanson and Baluji Shrivastav, Shodan Kumar, Deepika Kumar, John Dias, Kamal Sharma and Aishwarya Mungale.